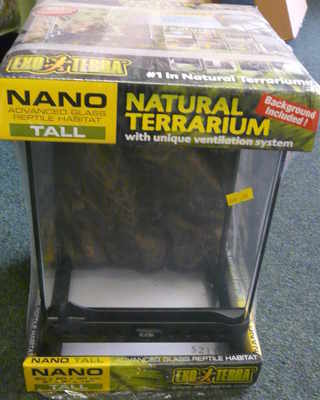 Exo Terra Natural Terrarium, an advanced glass reptile habitat with unique ventilation system. Background included. 20 x 20 x30cm (8" x 8" x 12") Provides optimal ventilation & keeps the front glass free of moisture.